Asia has undergone strong economic growth since the Second World War. However, it also experiences growing economic and regional disparities brought about by this unprecedented development. This economic growth cannot be considered sustainable without taking into consideration the social development of minority populations, as well as the fundamentals of minority rights. The chapters in this book work from the premise that an environment that favours the emergence of various conditions necessary for the development of minority populations will contribute towards further economic development and prosperity, as well as the social cohesion of the entire country. Bringing together perspectives from Economics, Development and Area Studies, Geography, Anthropology, and Sociology, the contributors provide local narratives that shed light on some of the different needs, situations, and methods of problem solving. This diverse approach gives a nuanced perspective on social, economic and political inequality, and the ways in which people are constructing varied responses to the challenges of modernization. 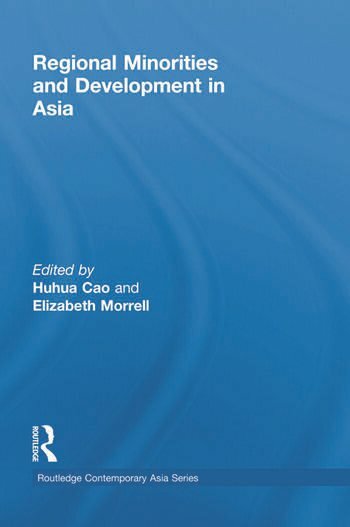 Through the comparison of the characteristics and realities of minority region development among countries in East and Southeast Asia, this book provides a better understanding of the development-related challenges faced by minority regions in the current context of modernization and globalization. Huhua Cao is Professor in the University of Ottawa's Department of Geography, where he is a specialist in the application of geostatistical approaches to urban and regional minority development.